The Inca Trail: Trek Away! Todo muy bien organizado y planeado. Nuestros boletos de entrada ya los tenia el guía, nuestros tranfers, todo estaba listo para disfrutar y eso lo hiso mas comodo. Comida deliciosa, y ninguno nos enfermamos del estomago , como les paso a otros grupos. Being a first time hiker, I had no idea what was really getting myself into by doing the 5 day 4 night Salkantay Trek with salkantay.org. I came into the experience rather confident of my fitness, and thought that hiking would be a breeze. 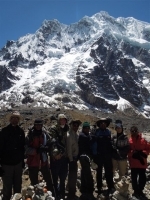 I´ve ever had and I´m glad I booked this trip with Inca Trail Reservations. 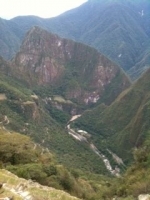 This came highly recommended by my friend, Richard Marian, who had done is Inca Hike with this company as well. We have started our Classic Inca Trail, four days and three nights in Cusco. My wife and I booked our tour online via the Inca Trail Reservations website. 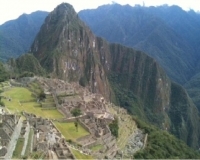 Since May, we have been in contact with the Inca Trail Reservations office regarding the trail. They have answered all our questions through various emails and correspondance quite promtly and efficiently. 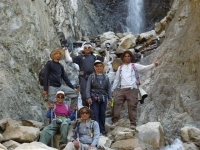 We recently took the ‘Complete Salkantay Trek 7 days/6 Night’ package. 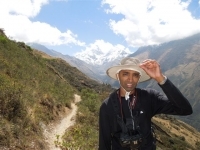 This is to Thank you for a GREAT trekking trip. Ours was a group of 6 from the San Francisco Bay area, and we call ourselves the mission peak hikers. My experience hiking Salkantay trail. About service: Well organized. Travel company Salkantay.org was awesome in every aspect of the trip. Information, planning, transportation, food, tour guide, hotel accomadations. Excellent staff service. Truly no negative surprises. Everone was well informed, knowledgeable in their area, personable, and very friendly.